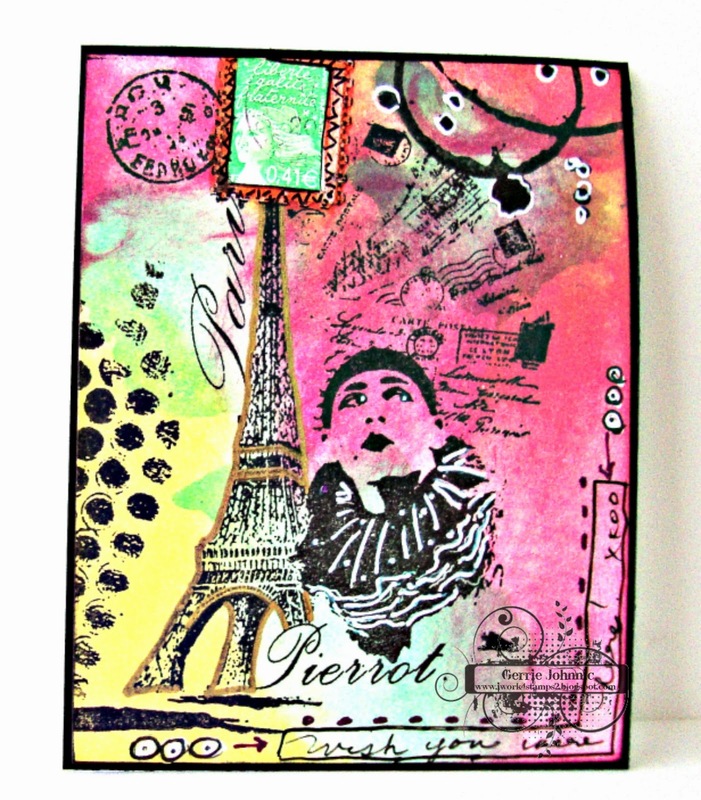 Today at Lisa's Blogger Challenge the theme is Travel. I played around with a couple of techniques and came up with this postcard. I still have to determine in my mind if I could ever do something like this again! lol It's kind'a wild...even for me. It is lovely, Gerrie ! Wild but there is such beauty in it and the colours look amazing side by side. I love it- though brighter colors than you usually use- it looks fabulous! Love the images together. fabulous work GF you have been busy I love all of the different elements on this piece.